Columbia Guitar Studio provides private guitar lessons for beginners through advanced students. Our lessons are customized and offer instruction in many genres and instruments including: classical guitar, acoustic guitar, blues guitar, rock guitar, jazz guitar, bass guitar, banjo, mandolin, and ukulele. Have you been thinking about giving your child guitar lessons? We help kids and young adults evaluate if the guitar is right for them. A pathway to success is explained involving the student, teacher and parent. Each month teens and adults embark on the journey of learning guitar at CGS because learning begins at any age -just because its fun. Come down and meet David for a free consultation. Many guitarists get to a point where they feel they just aren't getting better. Come over and meet David to discuss a roadmap of technique, study and repertoire to take your playing to a higher level. Prince George, and Baltimore counties in Maryland. Personal, one on one, guitar lessons for all experience levels. Guitar Lessons in Columbia, Maryland and the Columbia Guitar Studio have been synonymous since 1985. David Reynolds has directed players to participate in degree programs throughout the country and if there is a rock band in Howard County then one of the members has probably taken guitar lessons at the Columbia Guitar Studio. Students as close as Ellicott City, Laurel. Silver Spring and Baltimore enjoy lessons at the studio. Many of the students at CGS arrive as total beginners. 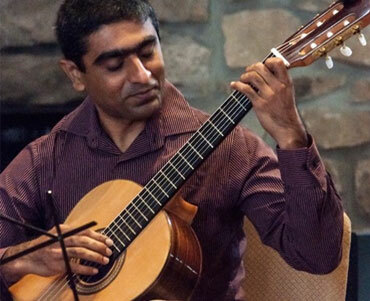 Over one-half of the students are adults taking acoustic guitar lessons and classical guitar. In addition, there is an active children's program (Calle El Dorado) featuring ensemble playing and stressing proper technique. 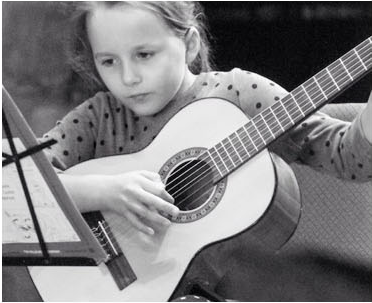 Click on Hear Students Play to hear our guitar¬ists play everything from Red Hot Chili Peppers to Classical Guitar. Lessons are offered in electric guitar and electric bass. 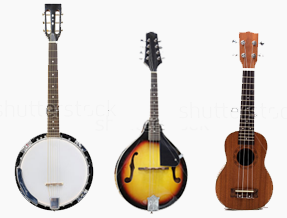 Instruction in traditional American music is also featured with lessons in banjo, mandolin, and dulcimer. 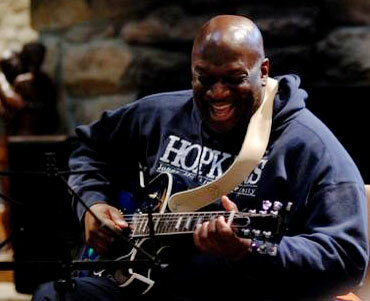 Columbia Guitar Studio is a center for guitar instruction in Howard County Md. Columbia Guitar Studio instruction for students from several counties in central Maryland. Columbia Guitar Studio includes students from Howard, Baltimore, Montgomery Prince Georges and Carroll County. Columbia Guitar Studio is a Center for guitar instruction for all ages. Columbia Guitar Studio has a guitar teacher for all ages. Columbia Guitar Studio offers instruction with a variety of music instruments. Columbia Guitar Studio has music lessons for several instruments as well as theory and improvisation.